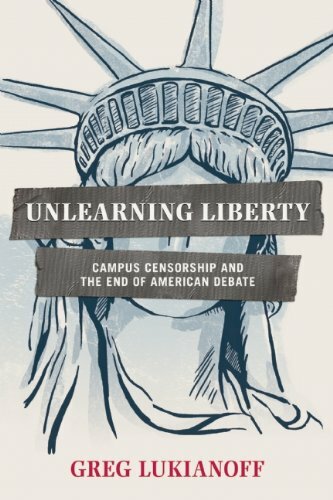 Book Review: Unlearning Liberty | What Would The Founders Think? 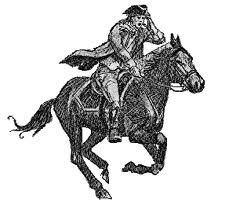 The IRS and Department of Justice scandals rocking the Obama administration make this a timely review. They demonstrate the consequences of Unlearning Liberty. The author is a First Amendment lawyer and president of the Foundation for Individual Rights in Education (FIRE), an organization dedicated to defending free speech rights on college and university campuses. FIRE is politically ecumenical, encompassing conservatives, liberals and libertarian free speech warriors. It goes to war and to court to defend students’ and faculties’ First Amendment rights at institutions of higher education. Lukianoff’s thesis is that when higher education imposes vaguely defined speech codes on faculty and students, violates due process, and attempts to “reform” moral beliefs and convictions, it erodes liberty. In other words, “What happens on campus doesn’t stay on campus,” but shapes the general culture. The author sees a connection between increased political polarization and campus censorship. Open debate and discussion, once a staple of higher education, refine knowledge of issues, deepen understanding of the reasons behind points of view, and improve the ability to articulate and defend a position. Denied that proving ground, emotional angst and hostility substitute for reasoned argumentation. That explains why political disputes so often end up in name-calling or allegations of racism. Probably the simplest but most successful argument for restrictions on speech I hear today is that censorship can protect people from hurtful or bigoted speech. In service of that view, colleges and universities across the country have imposed “speech codes” to demonstrate their commitment to diversity and tolerance. A 2012 FIRE report found 65% of the 392 top colleges surveyed have policies that severely restrict speech protected by the First Amendment. FIRE defines speech codes as any campus regulation that punishes, forbids, heavily regulates, or restricts a substantial amount of protected speech, or what would be protected speech in society at large. He observes that the mindless relativism that pervades higher education holds all opinions are equal while at the same time requiring the opinions of “historically oppressed groups” be given special consideration. This results in a groupthink that demands certain facts and arguments to be voluntarily suppressed, ostracized, or subject to punishments, up to and including expulsion. The author makes a point that acquiescent students do not seem to understand. The First Amendment exists to protect minority points of view in a democracy, and anything that undermines it necessarily gives more power to the authorities. That is true whether the authority is a university administration, the IRS or the Justice Department. Students have internalized the idea that it’s violation of their own rights to be presented with arguments, protests or displays that disturb or offend them–and they have the right to silence those arguments or destroy the displays. The abuse became so widespread that in 2003 the Office for Civil Rights of the U.S. Department of Education sent out a letter of clarification to colleges that stated in part: ” … to be prohibited by statute harassment must “include something beyond the mere expression of views, words, symbols or thoughts that some person finds offensive.” The clarification however, has had minimal effect on administration edicts and enforcement policies. The programs Lukianoff describes sound more like re-education camps than institutions supposedly dedicated to the search for truth. An August 2010 Goldwater Institute Report titled ‘Administrative Bloat at American Universities: The Real Reason for High Costs in Higher Education, found that spending on administration per student grew by 61 percent between 1993 and 2007, a rate that far exceeded the growth in cost for instruction…Illustrating how this bureaucratic expansion has come at the expense of instruction, the report points to Arizona State University, where the number of administrators per one hundred students grew by 94%, even while the university was ‘reducing the number of employees engaged in instruction, research and service by 2 percent. Unlearning Liberty is well written and compelling. The author outlines in shocking detail how higher education has lost sight of its mission, a consequential part of which is preparation for citizenship in a free country. The book needs to be widely read from both educational and fiscal perspectives. Ideally, it will prompt families to more carefully examine the institutions in which their children want to enroll. The organizations referenced in this review are good places to start. The primary source of abuses on college campuses, however, is not the faculty. 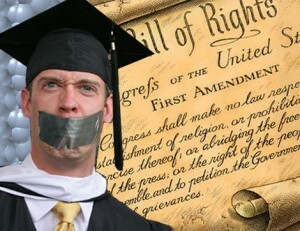 While many professors have played an unforgivable role in propagating speech codes and seriously undermining the philosophy of free speech, and of course some professors engage in questionable pedagogy, the actual regimes of censorship on campus are in place primarily by the ever-growing army of administrators you have met so often throughout this book. That’s true of the issues that FIRE confronts, but it does not address the larger message of the book: the adverse consequences to the culture when colleges and universities repeatedly violate the First Amendment and allow their educational mission to be corrupted. Censorship is more than what the author and his organization admirably confront in campus speech and harassment codes. It is also what is crowded out or deliberately omitted. Requirements for course work in American history and institutions have been dropped…prescribed books are frequently no more than journalistic presentations of a simple political message. Faculties teach what to think rather than how to think: that is, they demand correct attitudes and beliefs more than they require independent reading and thought. Other national studies document that these findings are not unique to California. Similarly, a majority of universities and colleges have abandoned courses in American history or government. The American Council of Trustees and Alumni (ACTA) recently reviewed the core curricula of over 1000 schools3 and determined that “less than 19% of our colleges and universities require a foundational course in American history or government.” Some of these institutions permit courses such as “History of Rock & Roll” to fulfill the requirement. 3. ACTA: What Will They Learn?